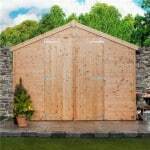 All about how to make your wooden garden sheds even better. 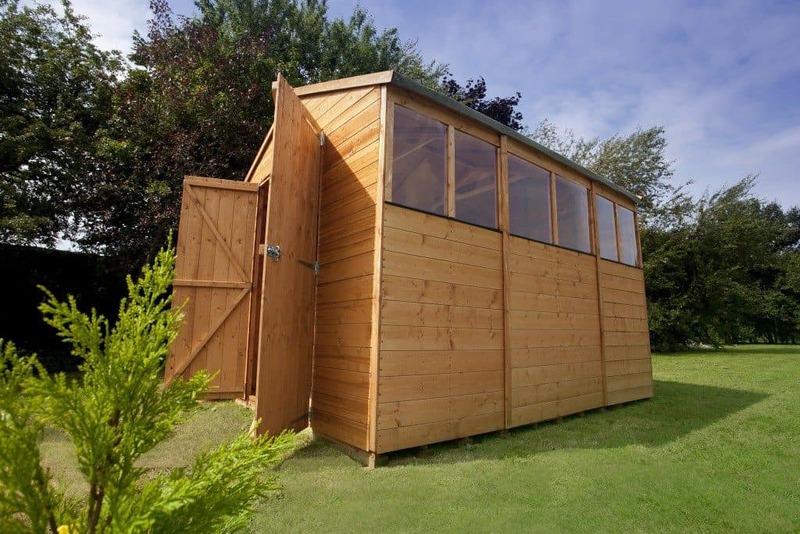 If your wooden garden shed needs improvement, take a look! Many people choose to purchase a wooden garden shed when they want to install additional storage space. These buildings are usually selected because they are cheaper and easier to maintain than other types of sheds. They are also very resistant. However, this built-in resilience can be significantly increased by following a few easy steps. One important thing to note is that garden sheds should always be laid down on a solid foundation. 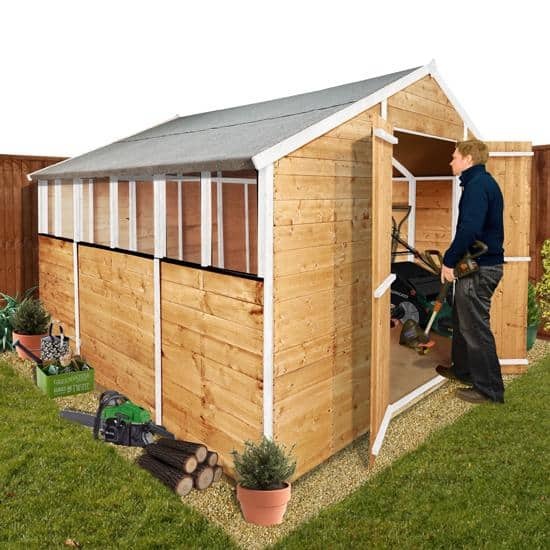 (Read our guide on How to build a shed base). A concrete slab is always the best choice and you should strive to have one installed even if it costs a little extra. For optimum results, place the slab in an area of your garden that is level, leaving sufficient room on all sides for easy access. Concrete can bear heavy weights and enable you to store as many items as you want inside your garden shed. Extra attention should be paid to the points of contact between walls. Using a few extra metallic corners will make your entire construction more durable and help delay structural damage. Using nuts and bolts instead of the standard screws is always a good idea since the former are a lot more difficult to break. In addition to increasing the durability of your garden shed, these components will also make them more secure. You can strengthen these structures by adding extra connectors. The walls will become more rigid and provide more support for the roof. This is very important if your new structure has a heavier roof. In addition, these modifications are absolutely necessary if you want to outfit tiles on the roof. The latter is highly recommended as it provides increased protection against rain and snow. After you finish modifying the outer structure of garden shed, it is time to move inside the newly-erected structure. You may want to have some shelves installed along the walls, and this is just fine. All you need to do is keep in mind that you can use these shelves as strengthening materials for the garden shed. If the walls are made up of several panels, you could try to install the shelves in such a way that they span two panels. This will provide additional resistance to that particular wall. The process can be repeated on all four walls. Another thing you can do inside your garden shed is installing additional support beams underneath the roof. This will ensure a more even weight distribution on the four walls and enable the structure to better handle the motions of the roof. 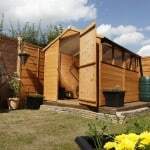 The latter will be battered by winds and made heavier by snows during the winter, as some wooden garden sheds are just not designed to handle such loads. 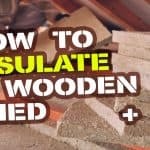 Though it may seem counter-intuitive at first, good insulation plays an important role in making garden sheds stronger. 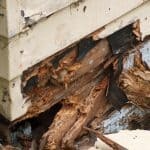 If you apply these materials just right, you can ensure that no more water or moisture will penetrate the wood and cause damage from within. The areas of special interest are the joints between the walls, between the foundation and the walls, and the areas where the roof touches the walls. All of these areas should be securely isolated with special lacquers or other materials. Putting a little time and effort into strengthening your garden shed is definitely worth it in the long run. After these modifications are made, you can enjoy these structures for prolonged periods of time with only minimal maintenance required. You will still have to take care of the wood every year by applying special chemicals to prevent decay. However, you can rest assured that your structure is resilient and that strong winds will not bring everything down. Looking for some more shed information? 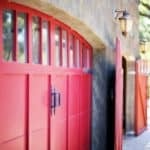 Why not take a read of our Find out more about our advanced guide to sheds. Here from our customers directly through our customer stories!